Whether your child needs a physical or you’re dealing with a lingering cold, having access to healthcare seven days a week is essential to solving your medical situations quickly. 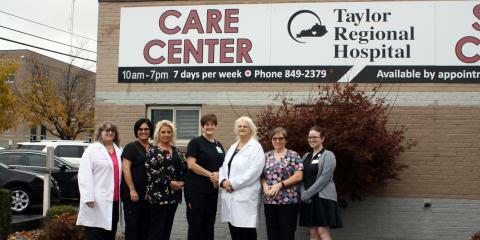 At Taylor Regional Care Center Walk-In Clinic in Campbellsville, KY, patients will benefit from a wide range of services that are accessible every day. This local medical clinic addresses non-emergent and non-life threatening health concerns for your entire family. From rashes to upper respiratory infections, these skilled medical professionals treat all kinds of conditions, offering extended weekly hours to care for you and your loved ones. Experienced nurse practitioners provide a variety of health services, including venipuncture, women’s health services, and physicals. They utilize the latest equipment in the field to conduct medical testing for tuberculosis, influenza, and strep. What separates this medical clinic from others in the area is a dedication to patient care that starts with one-on-one communication. Nurse practitioners will explain the source of your symptoms while suggesting a proven treatment. Whether you’re suffering from asthma or a headache, they won’t stop until they’ve created a plan of action that meets your needs. 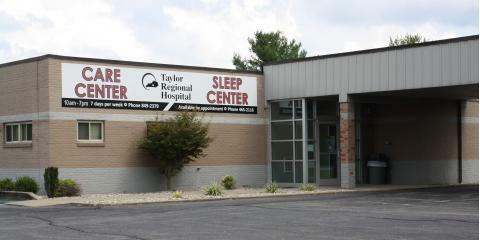 Adults, teens, and young children are all welcome at this trusted medical clinic. Friendly representatives will work with you to send summaries of your visit to your primary care provider. Additionally, they accept most insurance plans, as well as cash and debit and credit cards for out-of-pocket costs. 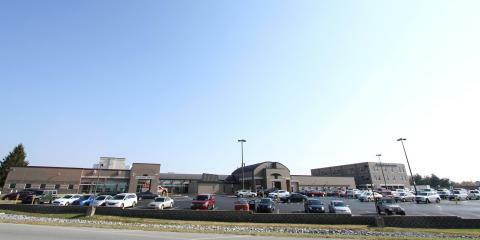 The facility is located next to Taylor Regional Hospital, where patients will have access to other area providers. When a non-life threatening medical situation occurs, head to see the talented and convenient team at Taylor Regional Care Center Walk-In Clinic. Call them today at (270) 849-2379 to speak to a staff member or visit them online for more information.